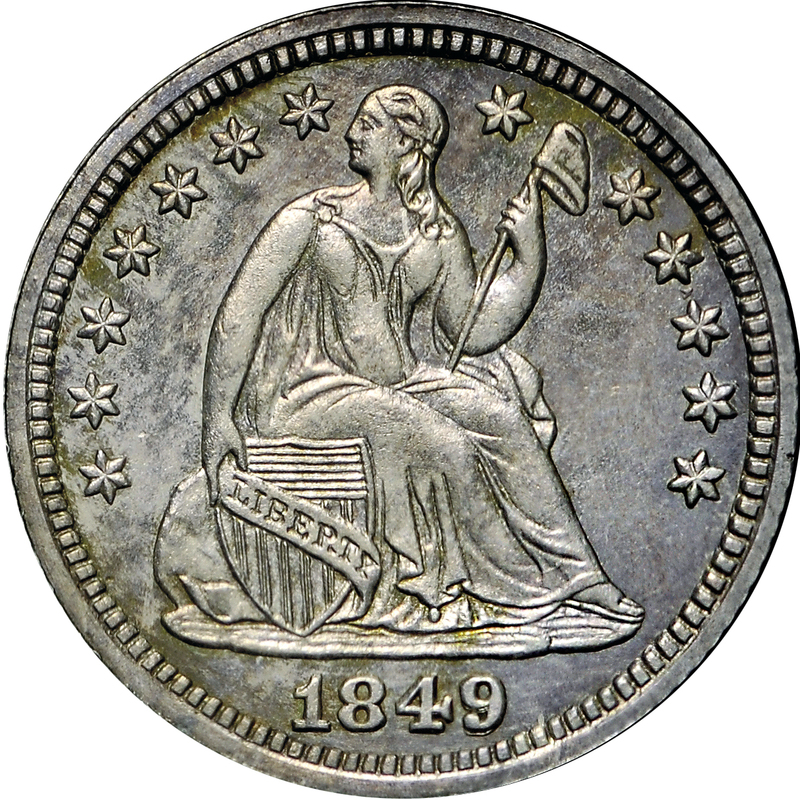 Two different varieties of 1849 “Liberty Seated” three-cent silver coins were produced, differing in their reverse design. 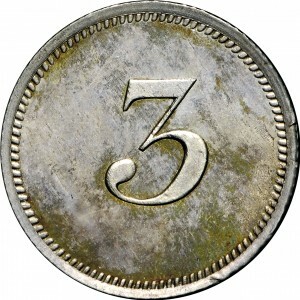 This example has a large “3” as its reverse design. The other design has a Roman numeral III. These design differences were intended to distinguish between two slightly different compositions. The obverse die matches that used for the 1849/8 Valentine-4 half dimes. Examples of the same design displayed here were minted in a 50-50 composition, with equal proportions of copper and silver. Others with the Roman numeral III were issued with 60% silver and 40% copper. Purchased from Lee F. Hewitt, April 1972. Standard Liberty Seated half dime obverse of the regular-issue circulation strikes of the date. 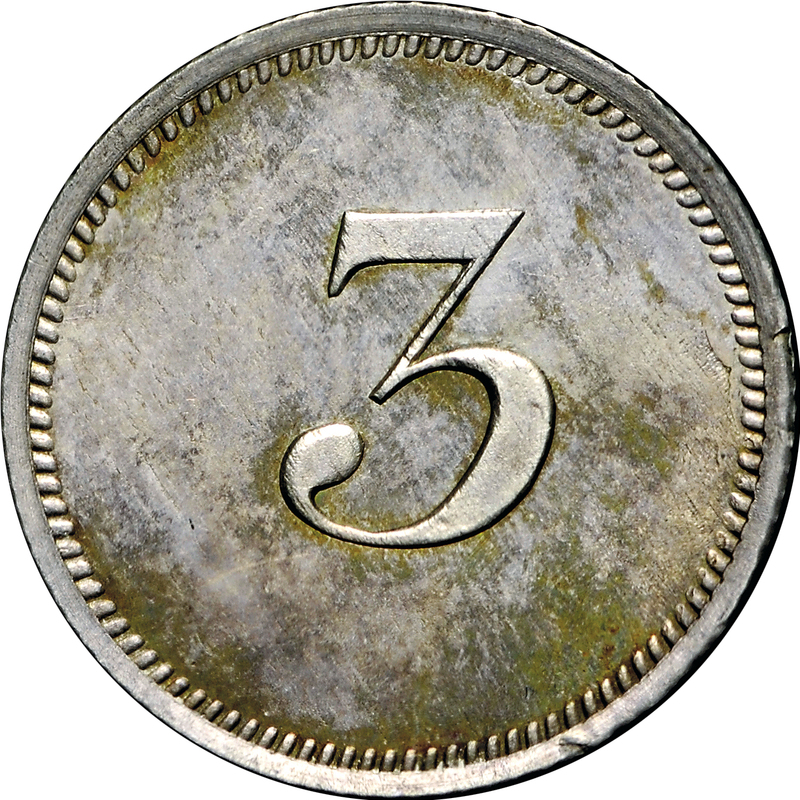 Numeral 3 at center of plain field, dentils at rim.